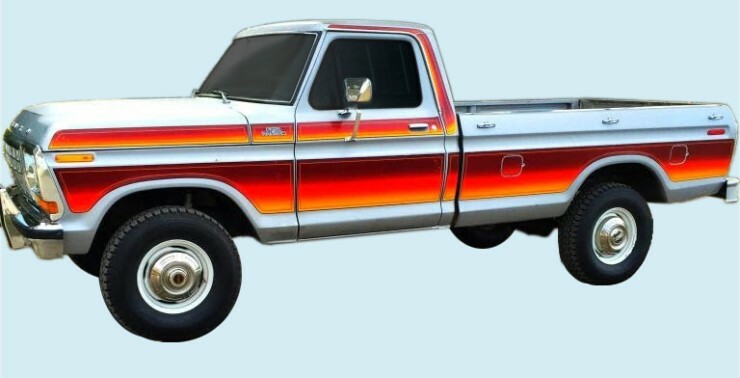 This 1979 Ford F100/150/250 Free Wheeling Chromatic Truck Stripe Graphic Decal is a very large, twenty (20) piece kit that includes everything to restore your Ford Truck to its original appearance. Kit is printed by a company with over 33 years experience in producing automotive decals that exceed all industry standards, not by some sign shop. Do not compare this product to any other reproduction; compare them to OEM. Produced on High Performance, 2Ml, Automotive Grade, REFLECTIVE, Cast Vinyl, ensures the highest quality and standard. Limited quantities.